In a time of tight purse-strings, each and every one of us is looking to lower our monthly outgoings. Life insurance should be no exception: the value of being covered by a policy should be more evident now than ever, but that doesn’t mean you should be sacrificing quality when cutting costs. These four forward-thinking ways will help send you on the path to getting affordable life insurance, leaving more money in your pocket. Commission is how insurance companies cash in on your policy, and this often hidden cost essentially inflates the price of a product. Why not burst their bubble and start getting more for less? Buying through a broker offering commission free life insurance is an easy way to save over the long term. While you’re normally asked to pay a small, initial fee, this will be a one-off, and will work out cheaper compared to a commission-based premium. This way, you’ll have the satisfaction of knowing that your money is getting you the best quality cover available. While a new cuddly toy may be just the thing you’re looking for, free fountain pens and reduced gym memberships are superficial rewards designed to catch your eye. Although you’ll enjoy these perks initially, chances are you’ll be paying for these in the long run in some way or another, usually in the form of higher premiums. I’m certainly not telling you to say no to a free lunch, but don’t be drawn in by these offers unwittingly. Be insurance-deal detectives and do your research: some companies may be offering the same cover for a cheaper price in the long run, although minus the meerkat. Mapping out your long term financial plans is part and parcel of the search for an insurance policy to suit you. Why take out cover for a 30-year period when you know that in 25 years’ time your outgoings will be greatly reduced? Generally speaking, most people take out life insurance to last until they’ve paid off the mortgage, or until the children leave home. The financial stability following such milestones means that insurance cover may not be such a necessity. Therefore, working out just how long you need to be covered for can be an easy way to ensure unnecessary spending. Lifestyle choices affect how insurance companies view you and your risk factor, and so changes for the better could save you a few quid. You may finally give up smoking, lose weight, or even pack in sky-diving; either way, it’s most definitely worth letting your insurer know. They’ll expect you to provide evidence of these changes, so make sure you’re able to do so, but asking for a reconsideration could be a really easy way of curbing costs. 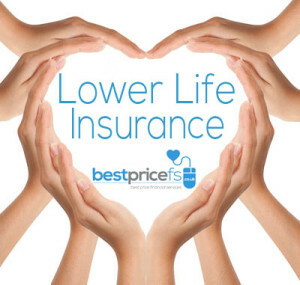 These tips will set you on the right path, so that next time you compare life insurance quotes, you’ll know how to get the most for your money.